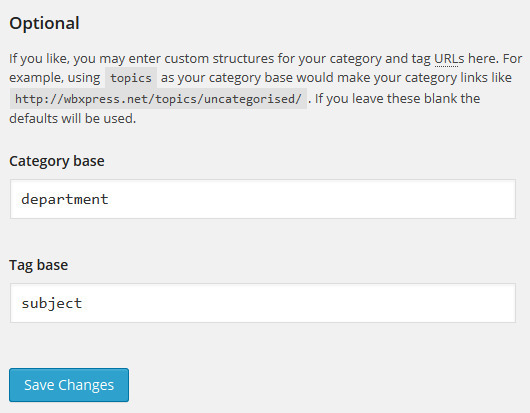 Changing Category and Tag base in Apache2 web server is easy. Just click the button “Save changes”. But, if you like to change wordpress category or tag in Nginx server, you need to use rewrite rules in your /etc/nginx/sites-available/example.com for category and tag base to work. Then simply restart the web-server to take effect the changes.